Auto insurance is an insurance cover for road vehicles. Basically, It provides monetary protection against personal injury and property damage arising from traffic accidents. 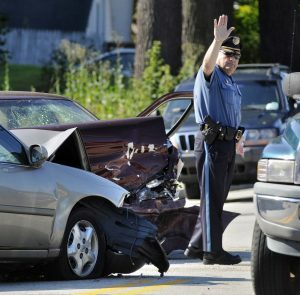 Car insurance also protects against liability those results from traffic accidents. Motor insurance can extend to protecting against stolen vehicle and sometimes even damage to the vehicle from accidents that are not necessarily traffic collisions. Such damage may arise from colliding with immobile objects along the road. The car owner determines up to what extent they should be covered. There are types of Ontario auto insurance covers to choose from. This is the lowest type of insurance that can be offered by vehicle insurance company. It is also the basic form of insurance legally acceptable on the roads. This form of insurance does not cover you, your passenger nor damages to vehicle when you are at fault in an accident. They pay claims to third party individuals for body and property damage. The cover will only pay claims up to a certain amount that you agreed on. As the name indicates, you are comprehensively covered. Comprehensive insurance will cover you, your passenger and third party involved in an accident. It covers bodily and damage to property. The insurance sector is becoming increasingly competitive. Various companies are now offering cheaper car insurance policies. Every insurer is giving special offers and vigorously advertising to woo customers. The attractive offers from various companies make it confusing for customers to select the right company. Nowadays, each company has its website where you can find all the information you need. You will have to do a research by visiting the many websites of the various companies. Request a quotation from each company. The companies normally send the quotation to your email within less than 24 hours. Do your comparisons and see which the most ideal plan is for you. The next process is filling the insurance forms. It is vital that you maintain clarity and honesty when giving information about your vehicle. Provide detailed information on people who drive it and your driving history. Avail all the extra safety features your car has. Have keen and detailed look at the insurance policy. Have time with you insurer to discuss and make inquiries concerning the insurance policy. Ask if you qualify for any discount. Ensure you understand the number of premiums you have to pay. Find out the possibility of cancelling your insurance if need arises. All these information is very important before signing an insurance policy. Carry such conversation with your insurance broker periodically. Once you have paid your premium, never forget to have with you the proof of insurance issued by the insuring company when you are driving. The law requires that you have this document with you when you drive. Accidents are foreseen and they occur anywhere at any time. Having an insurance plan can protect will protect you from liability and property damage. Because auto insurance is required by the law, it is essential that you avoid legal problems by getting yourself covered.